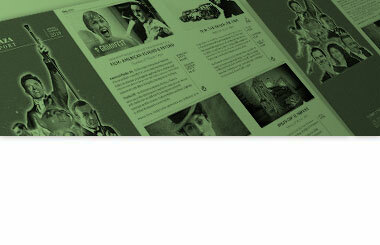 Aladdin Poster Design is Pantotastic! 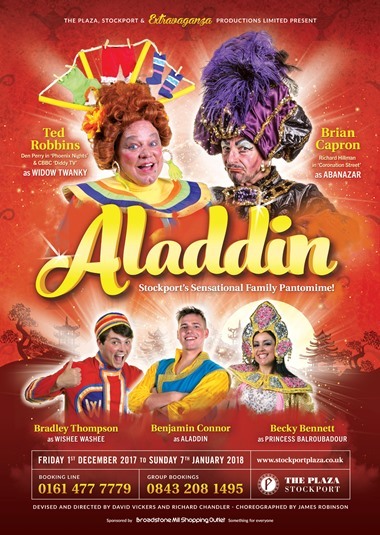 With a resounding Huzzah are artwork for this years sensational family pantomime ALADDIN starring TED ROBBINS and BRIAN CAPRON is hot off the press! 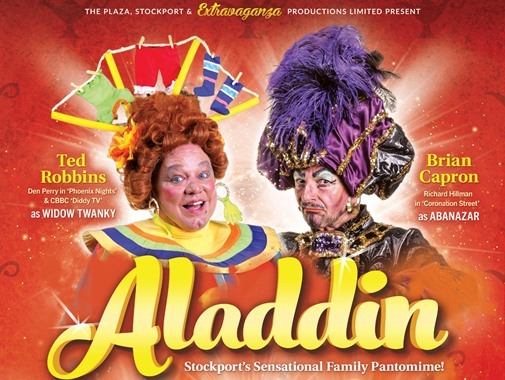 Featuring the stars of our show and members of the amazing supporting cast this design expertly created by Jake our designer at his fantastic design agency Bigger Bang Creative will soon be appearing on posters, flyers, bill boards, bus sides ohhhh and about everywhere you could possibly imagine to promote the North Wests premier family pantomime ALADDIN here at The Plaza in the very heart of Stockport from Friday 1st December 2017 until Sunday 7th January 2018. 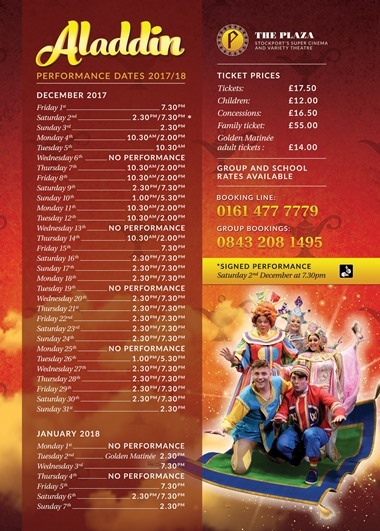 To book for this affordable family treat that everyone will enjoy this Festive season, jump onto your flying carpet and whisk on down to The Plaza (or via our 0161 477 7779 Booking Line or web listing!) to book your tickets today!….Ohhhh yes you should!